The HESI Exit Exam is an assessment exam used by various Nursing programs to determine whether a student is ready to take and pass either the NCLEX-RN or NCLEX-PN exam. 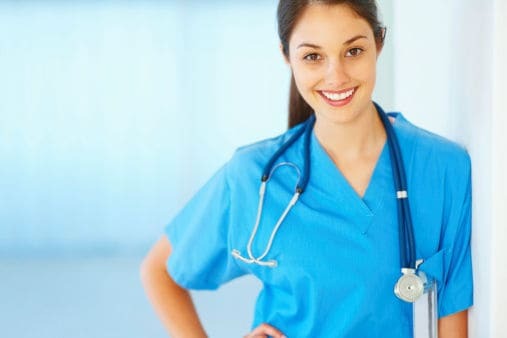 Because Nursing programs are required to achieve certain passing rates by various accrediting and regulatory agencies, they are under extreme pressure to make sure that their students are capable of passing the NCLEX Exam. The HESI Exit Exam is typically given in the last quarter or semester of a school's Nursing program. The tests are comprehensive in nature and are constructed to mirror the content of the corresponding NCLEX exam. The purpose of the Exit HESI is to predict a student's success in passing their NCLEX. Recent studies have analyzed the results of over 35,000 students who have taken the HESI Exit test and the NCLEX. Of those students, who took the exams over a seven year period, over 98% of the students that the HESI exit exam predicted would pass their NCLEX did so on their first try. You should prepare for your HESI Exit Exam as you would for your NCLEX Board exam. You need to understand the areas that the exam covers, review the content for those areas, determine your weaknesses, and use practice exams to gain familiarity with the process. The first step is to choose an appropriate HESI/NCLEX study guide. Test-guide.com recommends the study guides below. The HESI Exit exam outline directly corresponds to the most recent NCLEX test outline. The Exit Exam also contains the most recent alternate formats for questions. The HESI Exit is delivered via computer similar to the NCLEX exams, with one crucial difference - the HESI is not a Computer Adaptive Test (CAT) like the NCLEX. For example, the NCLEX-RN exam can contain from 75 to 265 questions (either multiple choice or alternative format). Because the NCLEX is a CAT test, the number of questions delivered varies based on how a student answers questions. If a student get a question right, a slightly harder question will follow. The questions will continue to get more difficult until a question is missed. If a student gets a question wrong, a slightly easier question will be given. The questions will become easier until the student answers a question correctly. This process will continue until the student achieves a definitive pass or fail score. The student will be presented with a minimum of 75 questions (of which 15 are pilot questions which will not count towards their score). The HESI RN Exit exam, however, contains 150 questions, of which 10 are pilot items. The HESI LPN Exit exam can be given as either a 150 question exam or a 75 question exam. Multiple Choice - These are the majority of the questions. Students will select an answer from one of four choices. Multiple Response - Students can choose one or more answers from five to seven choices. Fill in the Blank - Students calculate an answer and submit. An on screen calculator is provided. Hot Spots - Students are asked to identify a specific area on an image or graph. Chart/Exhibits - Students are asked to solve a problem based on information presented in a chart or exhibit. Drop and Drag - Students will rank or sequence items. The HESI Exit Exam is intended to measure your readiness for your NCLEX Board Exams. Do well on your HESI and you will do well on your NCLEX!